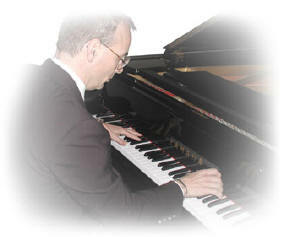 Dr. Knauss completed his Ph.D. in Music Education in May, 2011. After 14 years in the degree program, and after successfully overcoming many obstacles, he graduated from Penn State University two weeks before his 60th birthday. You might ask, why would anyone complete a doctorate at age 60? (Insanity could be one reason, or...) Dr. Knauss pursues life-long learning. He determined never again to neglect any learning opportunity, especially from the point when God turned his life around! See his Curriculum Vitae. During three decades of teaching public school, inner-city, street kids, grades K-12, Dr. Knauss realized that choirs, bands, orchestras, wind ensembles, jazz bands, and all other performance ensembles gained public recognition through their concerts. But no one ever got to see the spectacular learning achievements of his students and their performing classroom (general) music to the same levels of concert perfection and musical artistry as the other music organizations. He considered this unfair to his students, so he created the Orff Consort to showcase their artistic talents! Dr. Knauss has two unusual Hobbies and a license plate that says STND-GLS. Can you guess the hobby abbreviated on the license plate? (1) He has restored over 50 reed organs since his undergraduate years. He enjoys returning them to their perfect condition just as they were in the late 1800s when they rolled off the factory floor into the show room. (2) Dr. Knauss also enjoys making stained glass sun catchers, lamps, 3D objects, jewelry boxes, and windows in all styles. He says that stained glass in sunlight radiates as beautifully as gems in jewelry.